When I think summertime, it conjures up all sorts of happy memories of days spent outdoors in the swimming pool or at the lake and nights spent chasing fireflies or laughing around the firepit. We never took "fancy" vacations, instead we would pile into the car, arm-crank those windows down, and set out on roadtrips. We wound up anywhere from the fishing pond to a drive-in movie theater. For us, summer was a time for the simple things and small indulgences like an impromptu trip to the beach or pulling up to the speaker of the root beer stand. These are all experiences that I try to replicate with my own kids now that I'm an adult. Instead of worrying about expensive trips and getting time off of work, my husband and I aim for easy solutions to keep the family entertained. We're really lucky have full access to our neighbor's pool, which is where we spend a lot of our summer days. But a couple of things that are few and far between these days are drive-in movie theaters and root beer stands! I always got butterflies when the waitress roller skated over and hooked a tray to my window before setting down a cold, frosty root beer float. 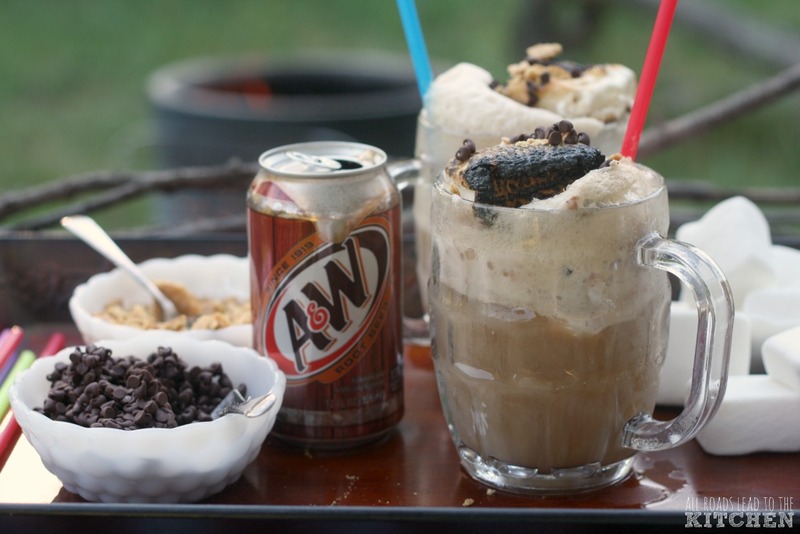 Fortunately, we can make our own floats at home by picking up a 2-liter or a 12-pack of A&W® Root Beer when I'm at Meijer grabbing groceries, a new lawn chair, or a new bathing suit to replace the threadbare one drying on the fence. Now, I love a classic root beer float—cold root beer poured over vanilla ice cream. The "crunchy" spots in the foam were always my favorite bits (I'm weird like that). 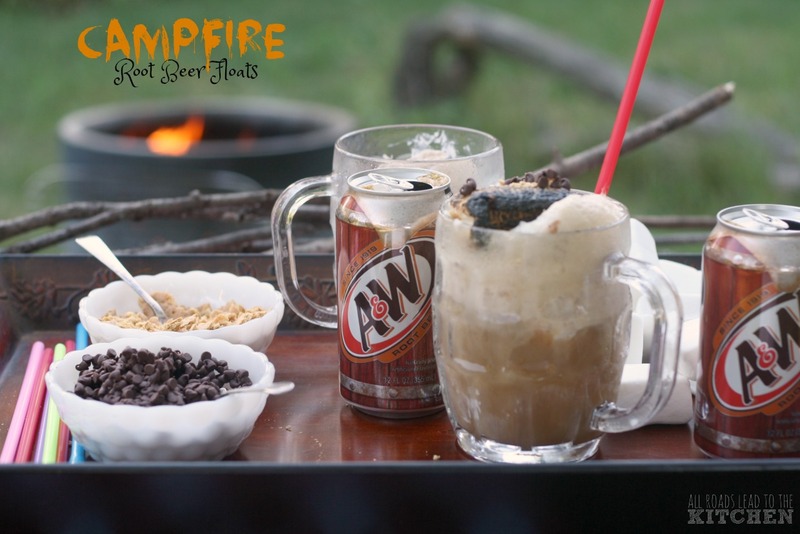 But it's also fun to mix things up a bit, so we turned a summer night around the campfire into inspiration for the floats I'm sharing with you today! 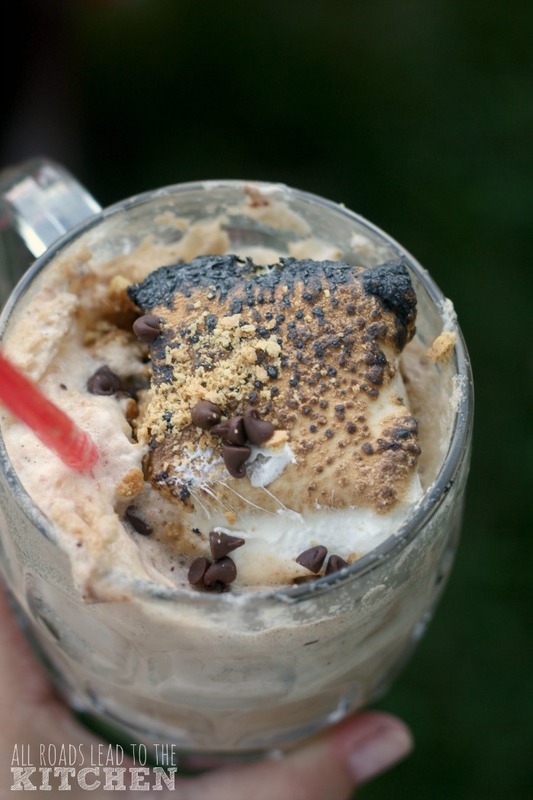 Basically it's S'more meets Root Beer Float. Oh. YES! We started by filling our mugs with S'mores ice cream and putting them in the freezer until we were ready to toast the marshmallows, then brought the mugs with us around the fire, filled them up with cold root beer, and topped them off with a gooey, toasted marshmallow. Be sure to h ave some crushed graham crackers and mini chocolate chips ready for anybody who feels like sprinkling! These fun root beer floats are sure to spark nostalgia in the adults and plant the seed for the kids. It's the simple things that stick with us. 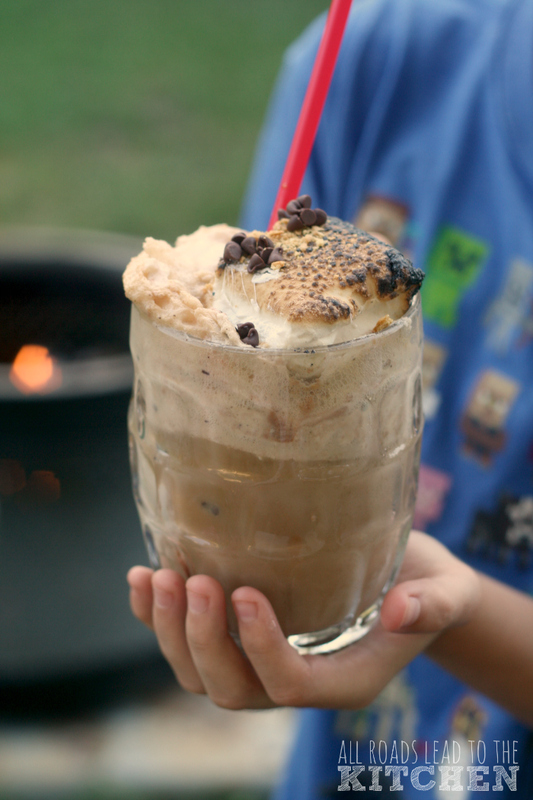 S'mores ice cream and toasted marshmallows put a fun summer night twist on old-fashioned root beer floats! Put 1 to 2 scoops of ice cream into each glass and set in the freezer until you're ready to use them. Once you're campfire is ready to go, bring all of your ingredients outside. Pour the cold root beer slowly over the ice cream until the glass is full and the foam rises above the rim. Slide a marshmallow onto a stick and toast to your liking. 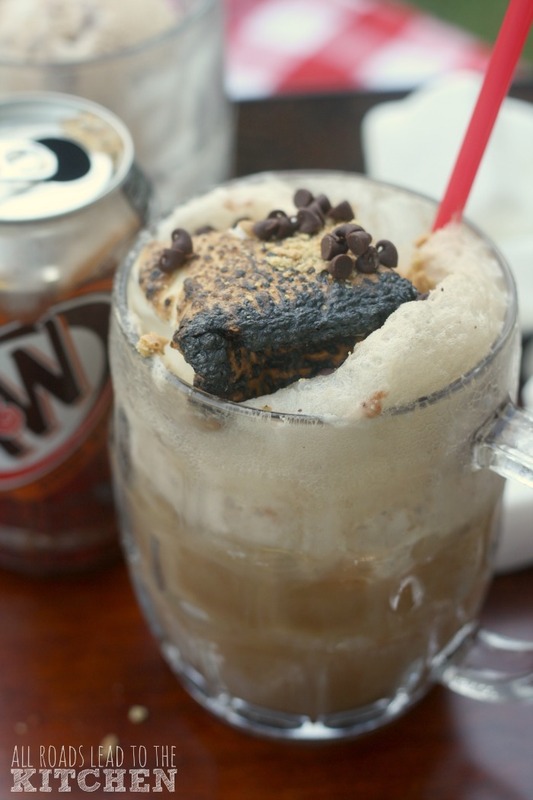 Remove the toasted marshmallow from the stick and set on top of the root beer float (repeat four times). Sprinkle with graham cracker crumbs and mini chocolate chips. Are you ready to put some fun into your summer nights? What does YOUR perfect A&W float look like? Buy 1 A&W 2-liter, Get 1 Free using mPerks digital coupon at your local Meijer!